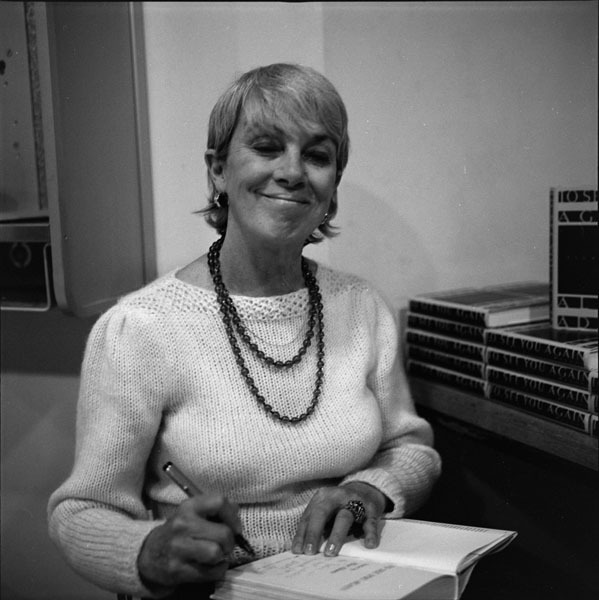 Novelist and short story writer Alice Adams smiles while signing a book. Alice Adams, 1982. Photograph by LaVerne Harrell Clark. Courtesy of The University of Arizona Poetry Center. Copyright Arizona Board of Regents.